This is the third and last blog about relaxation techniques. Today we look at another few specific relaxation techniques. If you’re walking or running, for example, focus on the physicality of each step—the sensation of your feet touching the ground, the rhythm of your breath while moving, and the feeling of the wind against your face. 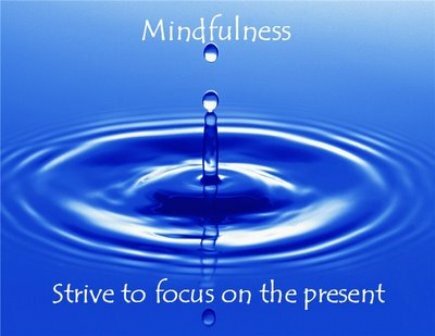 If your mind wanders to other thoughts, gently return to focusing on your breathing and movement. Visualization, or guided imagery, is a variation on traditional meditation that uses the power of your imagination to reach a deep state of relaxation and emotional calm. When used as a relaxation technique, visualization involves imagining a scene in which you feel at peace, free to let go of all tension and anxiety. Choose whatever setting is most calming to you, whether it’s a tropical beach, a favorite childhood spot, or a quiet wooded glen. Close your eyes and let your worries drift away. Imagine your restful place. Picture it as vividly as you can—everything you can see, hear, smell, taste, and feel. Just “looking” at it like you would a photograph is not enough. Visualization works best if you incorporate as many sensory details as possible. Don't worry if you sometimes zone out or lose track of where you are during a visualization session. This is normal. You may also experience feelings of heaviness in your limbs, muscle twitches, or yawning. Again, these are normal responses. Yoga involves a series of both moving and stationary poses, combined with deep breathing. As well as reducing anxiety and stress, yoga can also improve flexibility, strength, balance, and stamina. 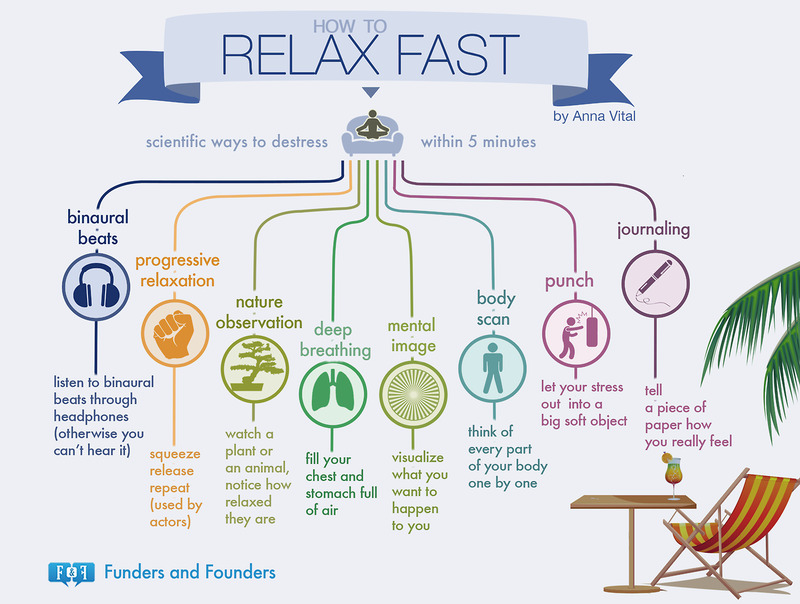 Practiced regularly, it can also strengthen the relaxation response in your daily life. Since injuries can happen when yoga is practiced incorrectly, it’s best to learn by attending group classes, hiring a private teacher, or at least following video instructions. Once you’ve learned the basics, you can practice alone or with others, tailoring your practice as you see fit. Tai chi is a safe, low-impact option for people of all ages and fitness levels, including older adults and those recovering from injuries. As with yoga, tai chi is best learned in a class or from a private instructor. Tai chi classes are often offered in community centers, senior centers, or local community colleges. Once you’ve learned the basics of tai chi or qi gong, you can practice alone or with others, tailoring your sessions as you see fit. Try taking a few minutes to massage yourself at your desk between tasks, on the couch at the end of a hectic day, or in bed to help you unwind before sleep. 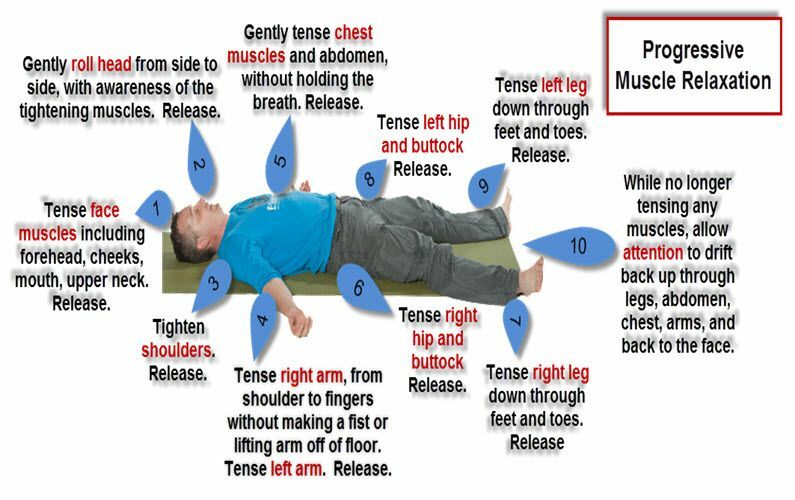 To enhance relaxation, you can use aromatic oil, scented lotion, or combine self-massage with mindfulness or deep breathing techniques. You can also add a warm heat wrap before the self-massage.